Things are heating up in the jungle. 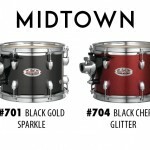 A segment so far dominated by Ludwig’s Breakbeats and to some degree Sonor’s Jungle and Safari, now get’s a brand spanking new contender in the Pearl Midtown. 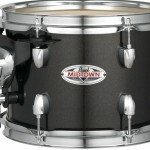 All new for 2016, the Midtown lands smack dab in the center of the Jungle segment with a 16″ X 14″ bass drum, 10″ X 7″ tom tom, 13″ X 12″ floor tom and a 13″ X 5.5″ Snare drum. 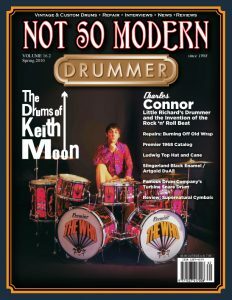 See our Compact Drum Kit Roundup for an overview of the segment. 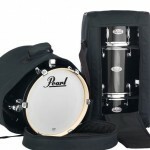 Pearl have already been a strong player in compact and portable drum kits with the Rhythm Traveler “brothers”. Naturally the question if whether the Travelers will be returning this year arises. The original Rhythm Traveler, (Separate Review) has almost reached “default” status in the segment while the “POD” version maintains it’s own loyal following. (Separate Review). 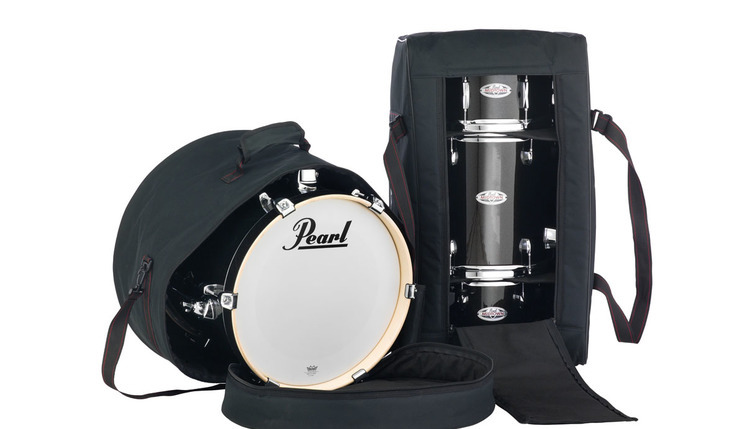 Both of which are somewhat unusual in that they offer 5-piece compact configurations. Traditionally these were only threatened by Taye’s GoKit (Separate Review) and more recently by Yamaha’s new 5-piece Manu Katche. (Separate article). 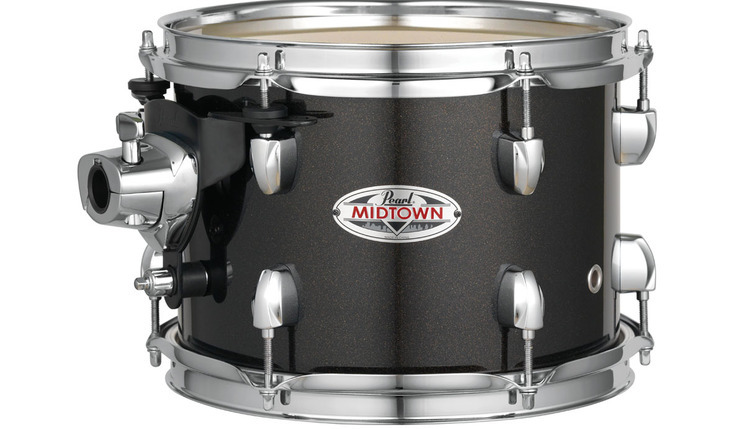 From a shell-size point of view the Midtown follows “standard Jungle” dimensions with the exception of a slightly shallower tom tom at 7″. 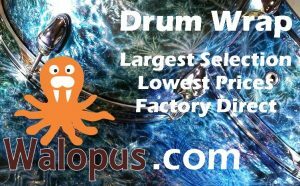 The bass drum is also shallower than for example Ludwig’s at 14″, which may prove beneficial for punchiness as well as for lateral footprint “real estate”. 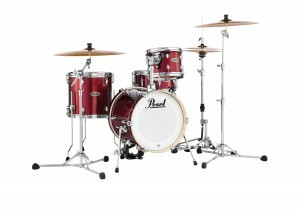 Like the RT POD the bass drum only has six lugs, but has received nice looking wood hoops. 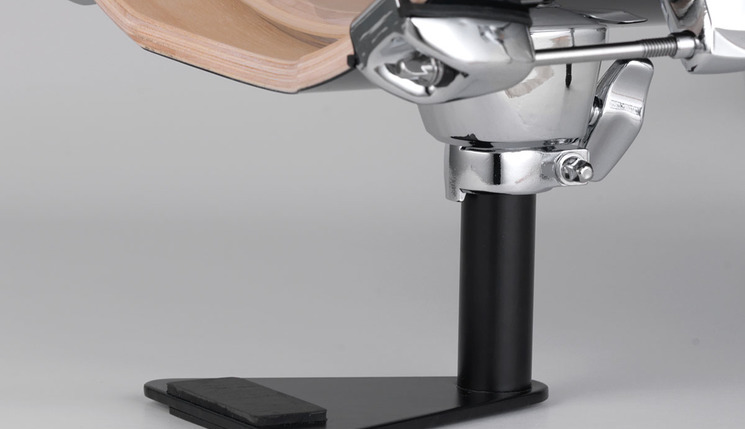 Oddly enough, the Midtown comes with telescoping ratchet spurs and an all new riser. One would have thought that the excellent riser from the POD and the same spurs could have been carried along. 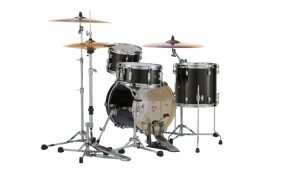 Another option that comes to mind would have been to simply adopt the JG-16 “Jungle Gig”. Another excellent hardware combination. 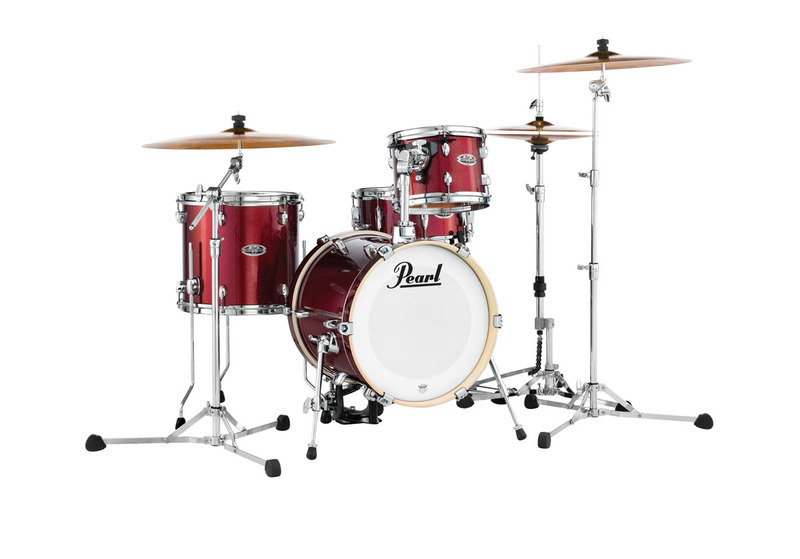 Six-ply, 7.5 mm poplar shells with wrap finishes make it a tasty package for the budget-conscious. List price is a mere US $399. The wrap finishes offered are “Black Gold Sparkle” and “Black Cherry Glitter”. A pair of purpose made carry bags for the entire kit is also available. 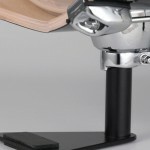 Additional appointments include 1.6 mm Triple-Flange hoops, Remo heads and a new “OptiLoc” Suspension mount for the tom tom. Stay tuned for a full review in the not-too-distant-future.